Qatar Airways is set to reveal the much-anticipated evolution to its multiple award-winning Business Class product at this year’s ITB Berlin exhibition. The airline will unveil a brand new Business Class seat in a world exclusive ceremony to be held on the opening day of the exhibition, March 8th, 2017, followed by a press conference which is expected to draw more than 200 international media, which is set to further detail Qatar Airways’ plans for the year ahead. Guests and visitors to ITB Berlin will be invited to relax in the new Business Class seat at the airline’s exhibition stand in Hall 2.2/208. The booth will offer visitors the opportunity to experience the comfort, entertainment and hospitality offered on board a Qatar Airways flight. Qatar Airways chief executive Akbar Al Baker said: “I am delighted to officially announce that this year’s ITB exhibition will be the location at which we will premier our much-anticipated new Business Class product. “As an airline we strive to offer our passengers the very best, not only in terms of our world class on board experience, but also our expanding global network. 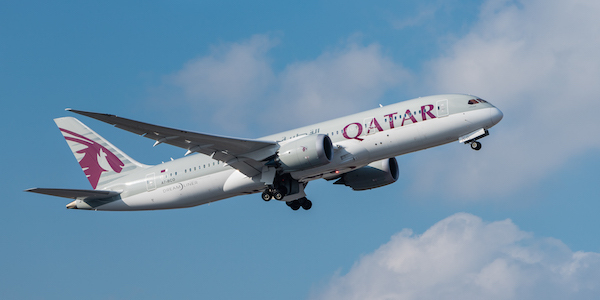 Qatar Airways operates 35 weekly flights to Germany itself, a country that continues to play an important role in the growth of Qatar Airways, departing from Hamad International Airport to Frankfurt, Munich and Berlin from a network of more than 150 destinations worldwide.